So today…I mean tonight, I ran across a new friend – Mama and Dudes. 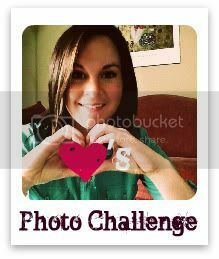 Turns out, that she’s got a new photo challenge, and this is the first week (apparently this will be a Wednesday start challenge that runs through Tuesday night)! Because she seems to be as addicted to photo challenges as I am, I thought I’d join and give her a little shout out! The challenge this week is FEET! You guys have seen this photo once before. These are my feet taken during our summer vacation at the beach. I never would have guessed that I would share this photo once and now I’m sharing it twice. I just think the processing is so cool…it looks like I’m covered in plastic. With that said, go check out Mandey’s blog and enter your favorite “feet” shot. PS: If I’m a little slow returning your comments and visiting your blogs…remember that I’m with clients this week so my time is a little off. I can’t ‘wait to get back to normalcy.